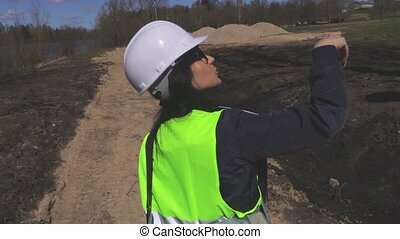 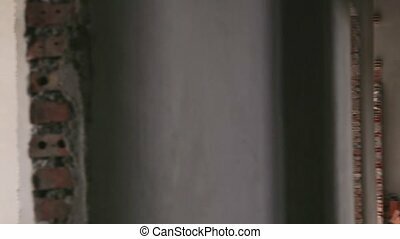 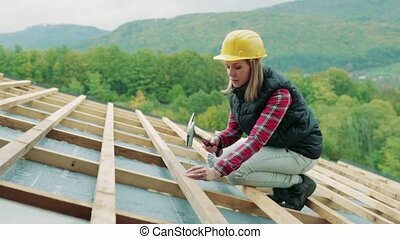 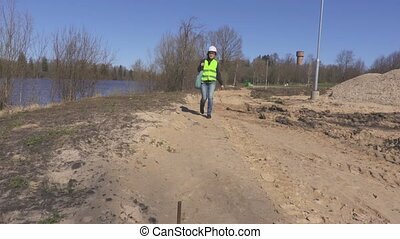 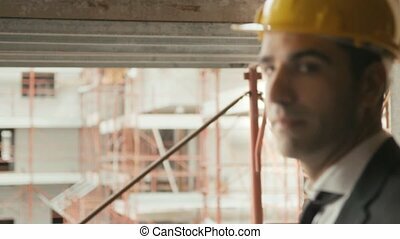 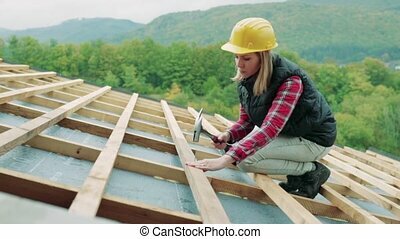 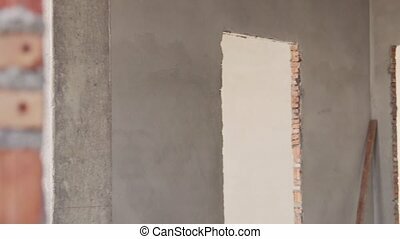 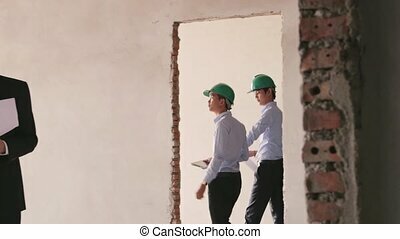 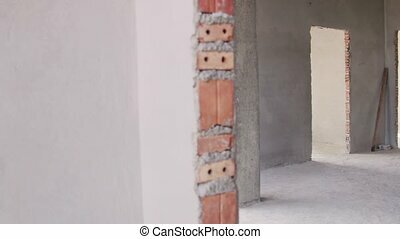 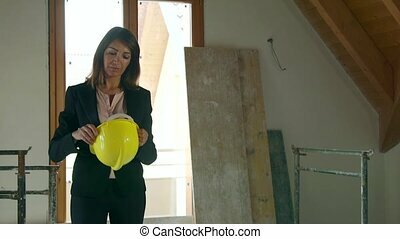 Woman architect inspects the construction site, checks the project. 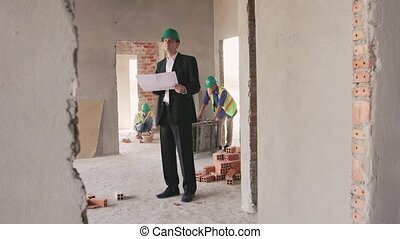 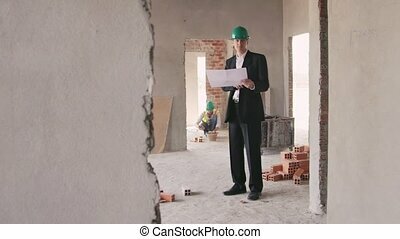 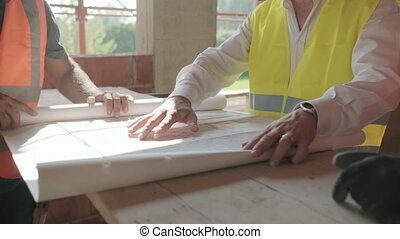 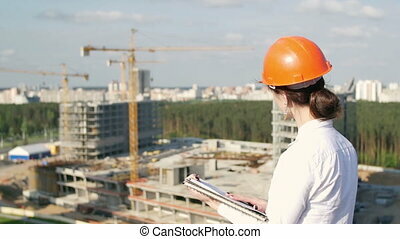 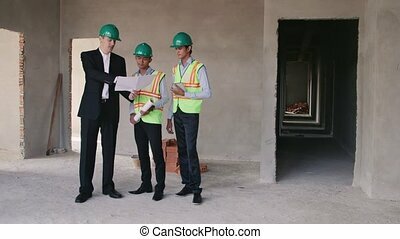 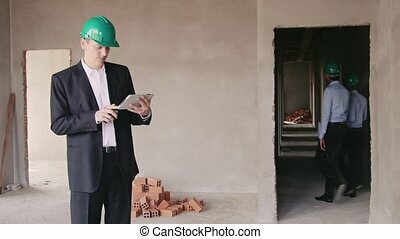 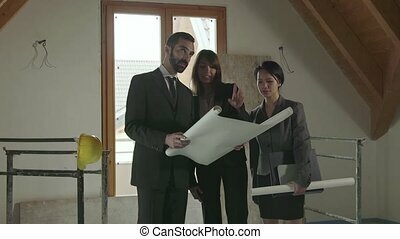 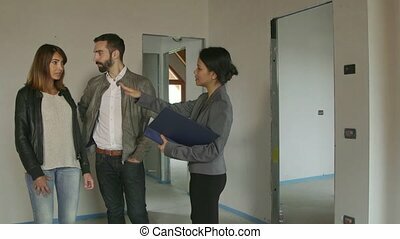 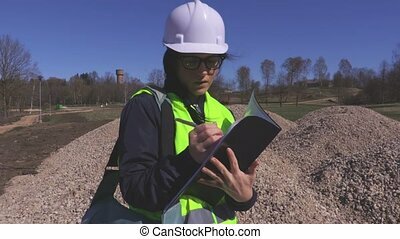 woman architect inspects the construction site, checks with the construction plan. 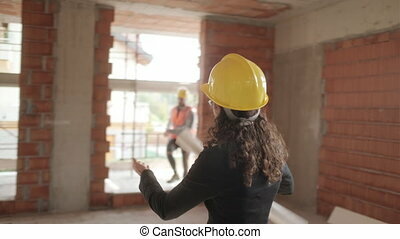 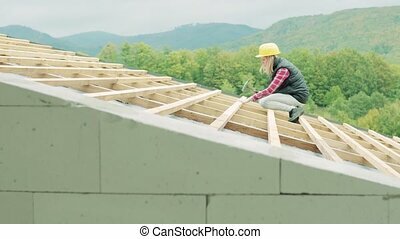 Young woman at the construction site. 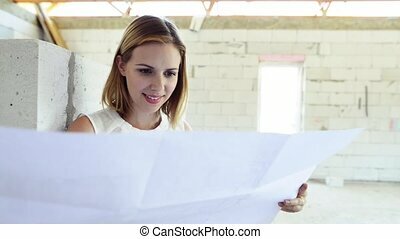 Woman looking at plans of the new house. 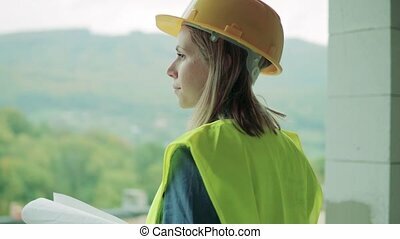 Young woman at the construction site. 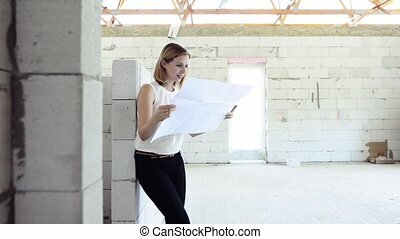 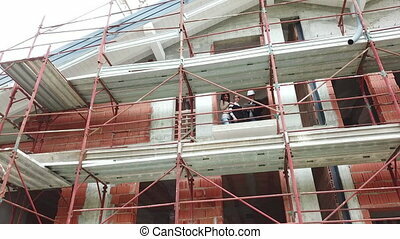 Woman looking at plans of the new house, discussing issues at the construction site.